To add other users to a conversation you are already having, follow these steps. 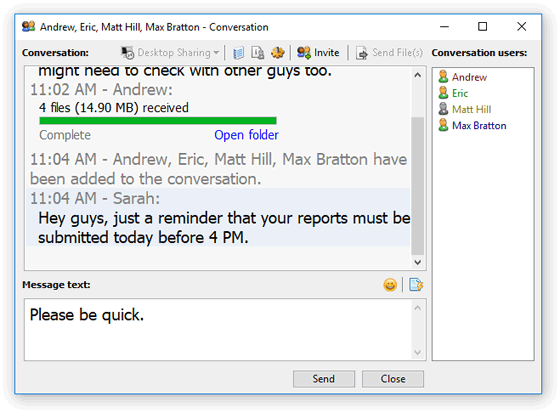 On the toolbar of the Conversation window, click the Invite button. 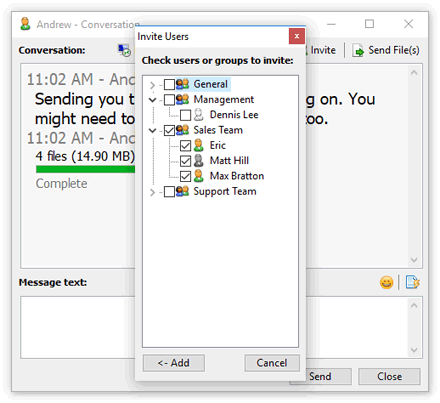 In the Invite Users dialog box, check the names of the users or groups you would like to add to the conversation, and then click Add. 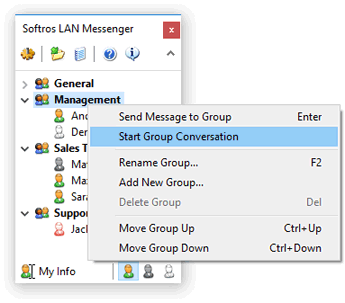 Alternatively, you can start a group conversation by right-clicking the name of the group in the user list and then clicking Start Group Conversation. A list of users taking part in the conversation will appear on the right. To quickly insert the name of a certain user to the Message text box, click it in the list. To leave the conversation, click Close, and then click Yes in the dialog box which appears next.